His eminence with Masjedi discussed latest developments in the political situation and the bilateral relations between the two friendly countries and peoples. 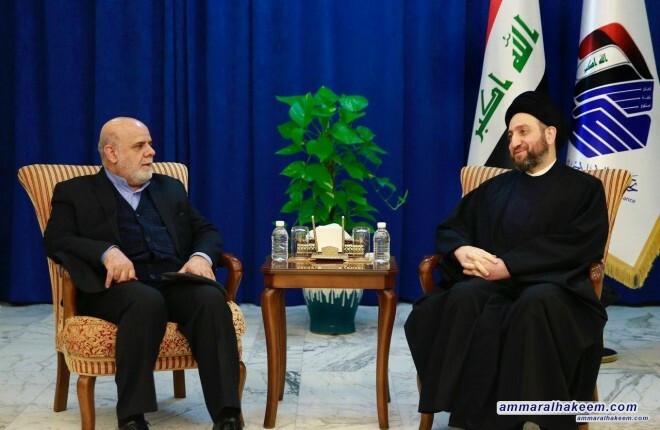 His eminence called for strengthening relations between Iraq and Iran, stressed the importance of starting from the many commonalities linking the two countries, reiterated his rejection of the unilateral sanctions imposed on Iran, considered it a dangerous precedent in international relations and compliance with international legitimacy. 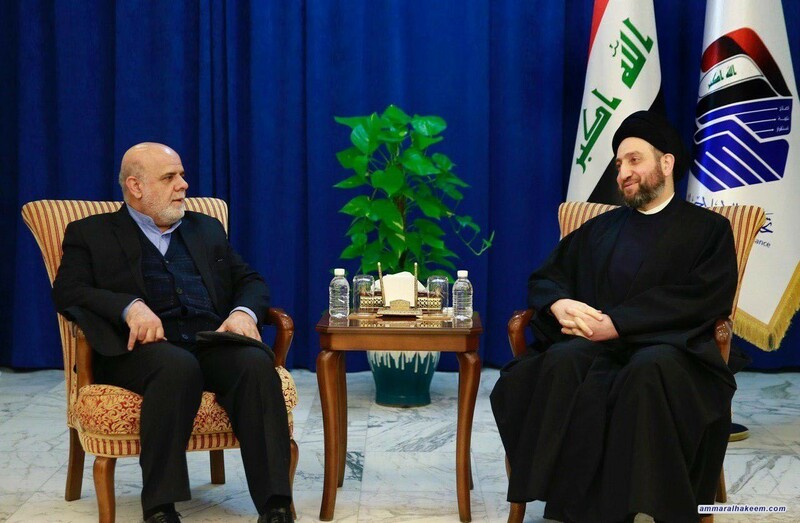 His eminence pointed to the positive changes witnessed by Iraq, forming patriotic alliances unbiased to any title, called on everyone to respect and support the will of Iraq. Sayyid Ammar al-Hakim stressed that the next challenge is services, jobs provision and fight corruption, stressed the importance of supporting the government of Mr. Abdul-Mahdi in implementating its ambitious service program.